Cozy-ing up our Bedroom Nook — Creating Custom Art, Pillows and Blankets! Create Custom Artwork, Pillows and Blankets for Your Home! The weather is getting colder and I have been working on making my home a little cozy-er for winter! We did a makeover on our bedroom last Spring and one of my favorite parts of our new room is the little sitting nook by the windows. It’s a wonderful place to have a cup of cocoa together and even watch our favorite show – Outlander. I love partnering with companies I love and creating ideas that might make your life a little happier! CVS has been one of my favorite companies to partner with and I am THRILLED to be able to share a couple of ideas this winter with you!! We shared Hannah’s room makeover last Spring and she has loved her room makeover! Recently, CVS asked me to create some Fall/Winter ideas. I LOVED the idea of making a cozy little space in our bedroom! We got married in August and one of the most precious things to me is pictures to remember special occasions. Of course I had to document this momentous event. My sister Wendy VonSosen came out for the ceremony and took the most amazing pictures of our day. The photos are SO special to me – I knew I wanted to have them displayed in our home. I created a framed canvas with CVS with some of our favorite memories from that day. And I was SO excited when I picked up the custom canvas. I loved seeing the pictures all put together. 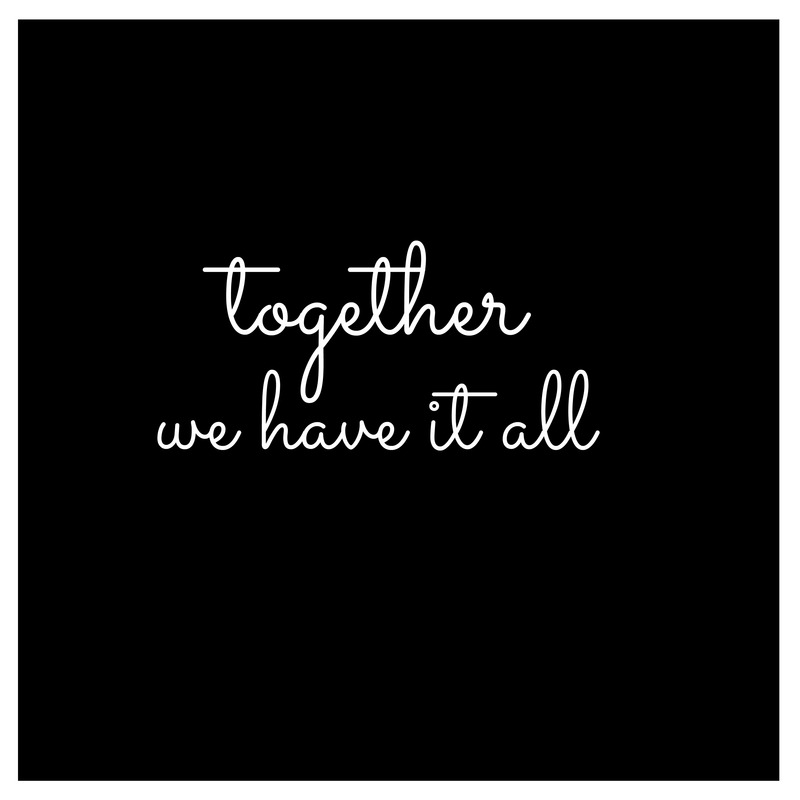 I added a special saying – Together We Have It All. I really feel that – our new family feels so right. I created the canvas and I also created a personalized pillow in CVS’s Home Decor category. You might not know that CVS has the ability to print on throw blankets too!! You can create a cozy fleece throw with your own personalized saying or photos. It’s a wonderful way to create one-of-a-kind items for your home OR for COZY gift ideas! 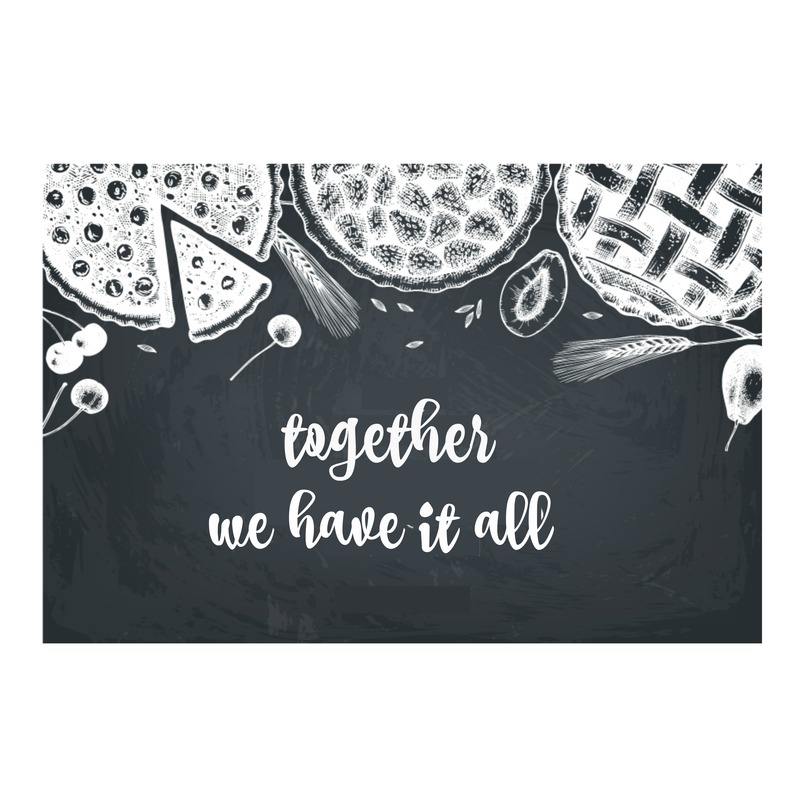 I created a throw that has the same saying – Together We Have It All – and then I added some pie graphics to the throw — because what could be better than cozying up in a soft blanket and eating pie. I have it folded up on one of our chairs in our master bedroom sitting area. We can sit in the chair and we can sip hot cocoa this winter and watch our show together. Some of my favorite things about creating and ordering items through CVS is you get your photo products when you need them! CVS Photo offers a variety of convenient shipping options, including free same-day in-store pickup, free ship-to-store, and ship-to-home – so you can choose the option that works best for you! I just ordered my items and they came to my local CVS which is just down the street from us – it’s SO convenient. But if you don’t live by a CVS store you can have the items shipped directly to your home! Another thing I love is that I can print photos directly from my camera roll or Facebook account via the CVS Pharmacy Mobile app, use an in-store KODAK Picture Kiosk to order photos while shopping at my local CVS Pharmacy, or choose to ship my products directly to MY home. It’s SO easy!! I also love that CVS lets me save money. Through the ExtraCare Rewards program, CVS Pharmacy customers can easily get what I need during the busy holiday season, all while saving money and earning rewards on every purchase. ExtraCare members receive exclusive benefits including earning 2% cash back in the form of Quarterly ExtraBucks, personalized savings offers, and app-only deals. It’s awesome! CVS Pharmacy is the go-to destination to find a variety of high quality gifts for anyone on your list – including the hottest beauty products, designer fragrances, signature toy brands, premium chocolates, personalized photo gifts from CVS Photo, and unexpected finds like Bluetooth headphones, virtual reality headsets, family games and more. It’s my favorite one-stop-shopping destination for stocking-stuffers! 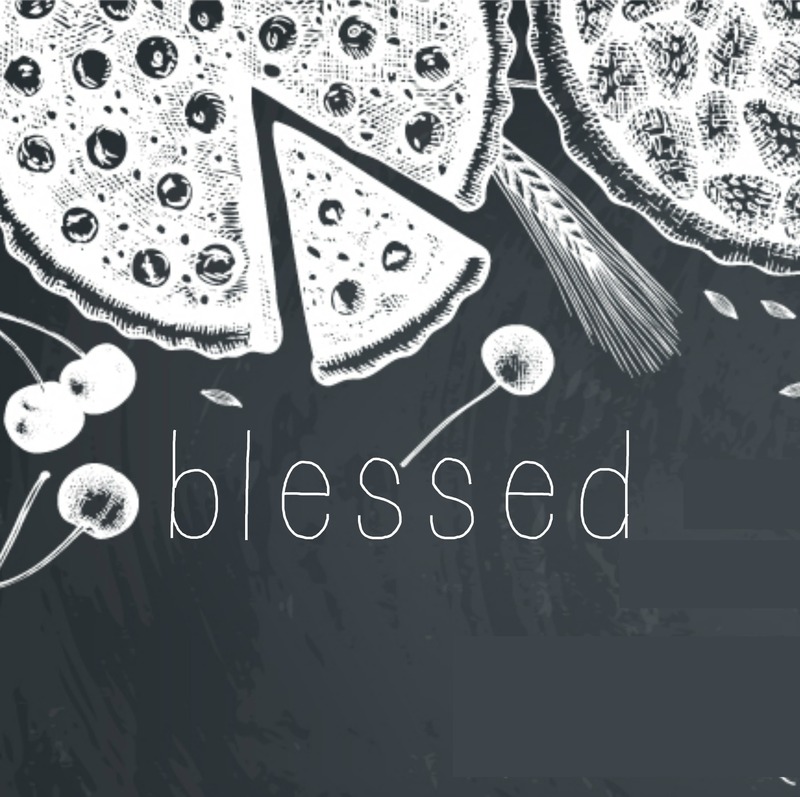 I also am sharing my printables with YOU! Feel free to download them and create something cozy with CVS Photo for YOUR home this winter!! How do YOU cozy up YOUR home for winter? This post was sponsored by www.cvs.com/photo but all opinions and ideas are mine. See my disclosures for more information. Master Bedroom Details: Make a Cozy Office Nook! The colors are perfect. I really like what you have done with the room. Your bedroom looks lovely! Pillows and blankets has always worked wonderful for me and the decoration at home and is a lovely idea. Thanks Alicia! I agree! Pillows and blankets can change up a space so easily! What a great space! I need to do something like that in my room. Thanks Cassie! It’s a cozy place for us to escape LOL!